Galion was founded on a clear vision of the profession that is based on technical excellence, a desire for teamwork and an enterprising spirit. Lionel Paraire, founding partner of the firm, has practiced for more than fifteen years within large English, American and French firms renowned for litigation and dispute resolution, where he worked on large scale, and often complex projects. All lawyers in the team are used to working in a multicultural environment and can work equally in French and English. Rigour, independence and professional ethics are the foundations of their relationship with clients, fellow attorneys, courts, and administrative bodies. 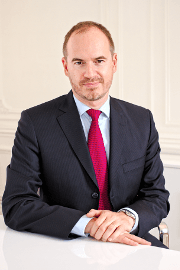 Admitted to the Bar in 1997 and founder of Galion, Lionel Paraire has a DESS de Droit des Affaires and a Magistère-DJCE (Masters in Business and Tax law) from the University of Montpellier. He worked for six years with Cabinet Jeantet Associés and then worked at Baker & McKenzie, followed by Mayer Brown where he became of-counsel. Lionel has been Senior lecturer at the University of Paris XII in Labour Law and European Labour Law. He is currently senior lecturer at the University of Montpellier I (DJCE and Certificate of Special Studies in Labour Law), where he teaches employment litigation. Lionel has developed an acknowledged expertise in the area of individual employment relations and (high risk) litigation and dispute resolution. He regularly assists companies with restructuring and the labour and employment law aspects of corporate transactions. He extends his activity towards Alternative Dispute Resolution (ADR), notably as a mediator. Moreover, he has written numerous articles for specialised press (Jurisprudence sociale Lamy, RF Social, l’Entreprise, l’Usine Nouvelle) and the national press (La Tribune). Lionel frequently takes part in conferences on varied subjects of labour and employment law and provides training for his clients. Lionel is a member of various national and international associations: Avosial (Association of French Employment Lawyers Association); ANDJCE (Association Nationale des Diplômés Juriste Conseil d’Entreprise); AFPDC (Association Française des Praticiens de Droit Collaboratif); IACP (International Academy of Collaborative Professionals); EELA (European Employment Lawyers Association); and IBA (International Bar Association). He speaks French, English, Spanish and German. Graduated with a Master degree in Human Resources and Social Protection and a Master degree in Environmental, Quality and Security in Companies from the University of Versailles Saint-Quentin, Stéphanie was admitted to the Paris Bar in 2011. Before joining Galion in 2009, Stephanie worked during 15 months in the HR Department of a financial company. 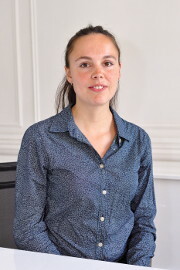 Former lecturer at the University of Versailles Saint-Quentin, Stéphanie regularly teaches labour law in higher education. 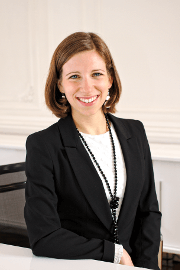 Trained in collaborative law, Stéphanie speaks French and English. She is a member of AvoSial (Association of French Employment Lawyers) and AFPDC (Association Française des Praticiens de Droit Collaboratif). Julie joined Galion in 2018. She provides advice and litigation assistance in all aspects of employment law. Graduated with a Master degree of Labour Law from the University of Paris I Panthéon-Sorbonne, Julie was admitted to the Paris Bar in 2014. She began her career at Capstan law firm. 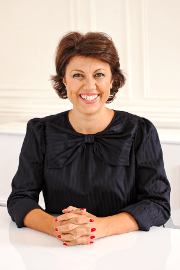 For almost 5 years, Julie has assisted and advised French and international companies from various industries. She is fluent in English. Fanny is graduated in labor law from the University of Paris XIII in partnership with Sciences po. She has joined Galion, as an associate, in September 2018. Previously, she completed an internship at Capstan, in the litigation department. She also worked as a lawyer, specialized in labor law, for Eurostar. Throughout her university path, she did different internships, always as a lawyer specialized in labor law, in an association, in a start-up, and in a firm in Lebanon. Fanny is involved in an association, Autremonde, where she runs French workshops for immigrants. 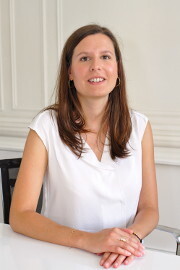 Holder of a master’s degree in Working Relationships Law and Practice (Master 2 Droit et Pratique des Relations de Travail) (University of Montpellier) and of a Doctorate in Private and criminal law (Doctorat en Droit privé et sciences criminelles), Anaëlle is a lecturer at the University of Montpellier. As such, she teaches International and European labor law and working relationships in Struggling companies. Anaëlle is also in charge of the co-direction of the Master 2 Droit et pratique des relations de travail, of the direction of the university degree in Labor law and struggling companies (DU Droit social et entreprises en difficulté), of the direction of the university degree in Labor law and international companies (DU Droit social et entreprises à dimension internationale) and of the co-direction of the university degree Certificate of specialized studies in labor law (DU Certificat d’études spécialisées en droit social). Anaëlle is the author of numerous publications in labor law. She also carries out various scientific and educational activities, both within the University of Montpellier and at a professional level. 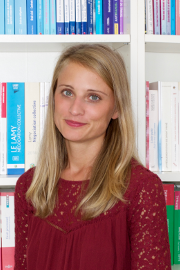 Anaëlle joined Galion as a consultant in June 2017 to give the Firm her scientific and doctrinal take. Graduate in Slavic Philology Department from the University of Belgrade and in Human Resources from SUP des HR in Paris, Danijela joined Galion as Office Manager in 2015. After ten years spent in the Paris office of Freshfields Bruckhaus Deringer LLP as Communications Event Officer, Danijela has also developed a professional experience in the field of Human Resources, Personnel Administration and payroll. Danijela is fluent in English, Bulgarian and Serbo-Croatian.